On the night of March 7, 2010, the coach of Crvena Zvezda survived a car accident in which he almost lost his life. 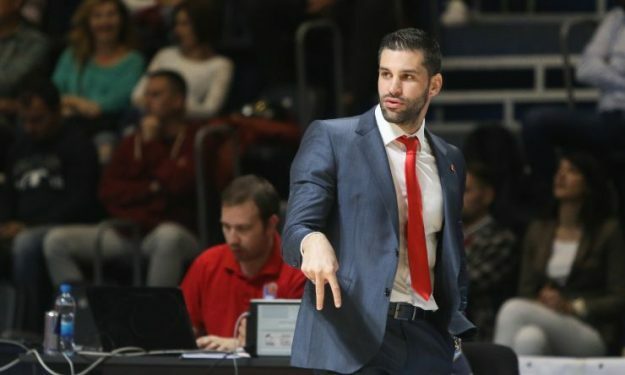 Coach Dusan Alimpijevic is about to wrap up his debut Turkish Airlines EuroLeague season on the Crvena Zvezda MTS Belgrade bench. Even though Zvezda has not been able to reach its goal of returning to the EuroLeague playoffs, life has already taught Alimpijevic that there is a big difference between professional disappointment and true tragedy. Eight years ago this month, on the night of March 7, 2010, Alimpijevic was an assistant coach for KK Novi Sad, two days away from his 24th birthday, when the team’s bus crashed while heading home from a Serbian League victory over Napredak Krusevac. Alimpijevic remembers little of the accident that left him hospitalized for more than a month and took the lives of head coach Nemanja Danilovic and 19-year old player Nenad Grozdanic. Both Danilovic and Grozdanic fell into comas after the car accident and never woke up. Grozdanic passed away after 35 days and Danilovic, who was 39, died in October of that same year. For more of this amazing story, click here.